While in Antwerp last month I visited Fiskebar to sample some of Belgium’s famous seafood. This is a unpretentious fish restaurant which seemed predominantly full of locals. The prices were reasonable and the building split into a restaurant and Osterbar, with the full menu available in both. Belgium’s famous mussels were unavailable that evening, completely sold out, so instead we tried three kinds of white fish and a platter of shellfish and squid. 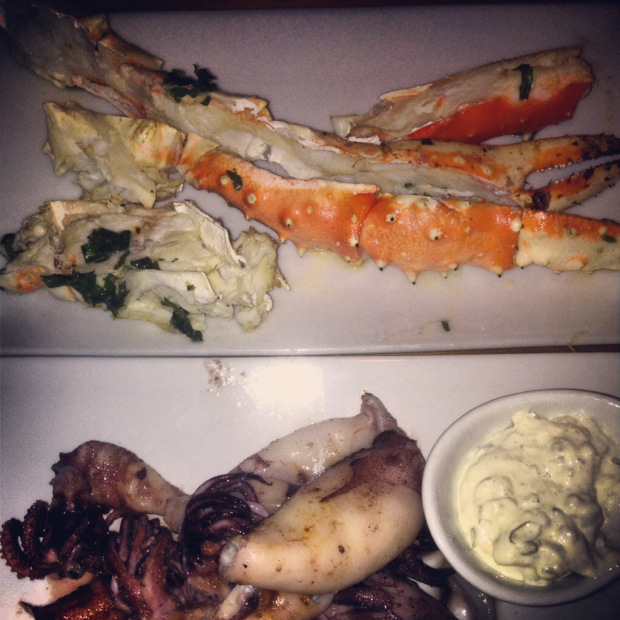 The squid in particular stood out, as did the crabs legs, everything was simply cooked with minimal flavoring sauces. Simple seafood at its best, I would recommend a visit.